Hobbies/Interest: Horseback riding, camping and reading. 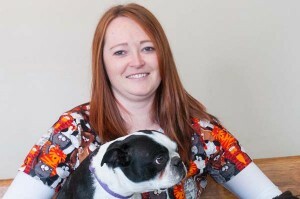 Why Petawawa Animal Hospital: I love working here because it feels like I’m working with my family. There’s never a dull moment! We even argue like a family (LOL). I just can’t imagine working at a better place. Saying: "In the event.....", or "Right??" Hobbies/Interests: YAHTZEE!! Camping, spending time with my family! Favorite food: Pasta! and Chocolate! any kind! Why Petawawa Animal Hospital: The atmosphere in this family owned clinic is what every clinic should strive for. It was an easy choice and a easy fit! Hobbies/Interests: Campfires, Swimming, Sports, and spending time with family and friends. Training/Education: Veterinary Assistant/Receptionist program at Academy Canada, Corner Brook, Newfoundland. Why Petawawa Animal Hospital: It never feels like you're at work here. It's more like you're hanging out with family you got to pick for yourself.